2013 was an eventful year, wasn’t it? Now that it’s the New Year we’ve been looking back, wondering where the time went, and along the way we rediscovered some posts on copywriting that stuck out as particular favourites. Enjoy the wonders of the past year! In this post from all the way back from last January, we discussed how to use empathy in copywriting and marketing. We explored why empathy works and how to use it to help prospects connect with your brand. 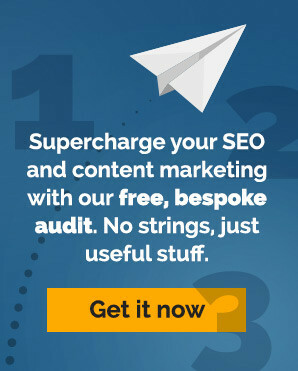 Do you know what your content is worth to your business? In this post we looked at how, with the right tools and some traditional metrics, it has never been easier to assign a value to your web copywriting. Amidst the how-to’s and guides to copywriting we publish here, now and then we talk about deeper copywriting methods. When you need original content, you might look at the big brands like Dove’s faces campaign and think you couldn’t do anything like it. But we think that authentic ideas are there for the taking (and the rewards) if only we ask the right questions. It is good to know what your customers want when they arrive at your website. But did you know that there are some equally important things people don’t want? A good web copywriter needs to know the difference. This is it. The point of sale. The transaction. Do you want mediocre, bland, cut and pasted copy – or words that persuade and engage? The words you put in front of your customers are your voice and are an investment in online success. In this post, we looked at the experiment that writer Chris Fielden ran in his Evergreen Content Case Study. The article tells us many things, but one thing it says in volume is the importance of evergreen content for SEO copywriting. And last, but certainly not least in our list for last year, we looked at how (and why) revamping your product description writing will increase conversion rates and serve you well long after the last stale mince pie has been eaten by the dog, and into the year ahead.